This is one of those instances where a video would be much more entertaining than a photo. Why? Because the disc the cow is standing on actually rotates. "Starting in the 1960s, a tradition of 'riding the cow' began among high school students and cadets at The Citadel military college in Charleston. 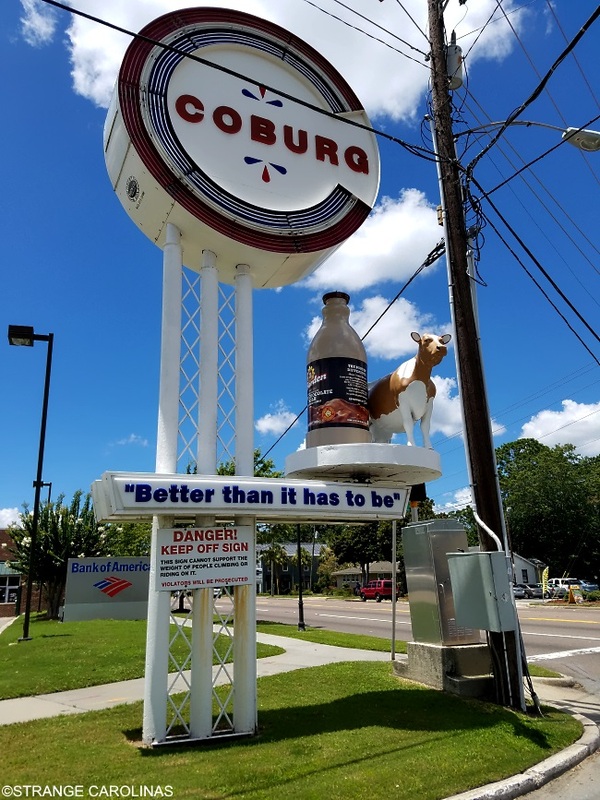 The fiberglass animal, known only as 'the Coburg Cow,' also has survived vandals, hurricanes and zoning ordinances."